Lunch at the new Taqueria el Diablo at the corner of Myrtle and Olive. Got two chorizo tacos at $1.50 each and a medium horchata for $2.75. 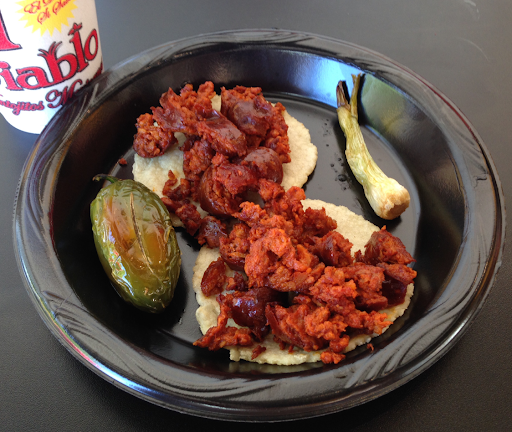 I wasn't brave enough to try the beef cheek, beef tongue, snouts, or intestines, but the chorizo tacos were excellent.